Chimborazo volcano is Ecuador's highest active volcano and the highest in the Northern Andean Volcanic Zone. The massive, ice-capped stratovolcano lies at the southwest end of the main Ecuadorian volcanic arc, the so-called "Avenida de los Volcanes" ("Avenue of Volcanoes") and is located ca. 150 km SSW of Quito and 28 km NW of the town of Riobamba. 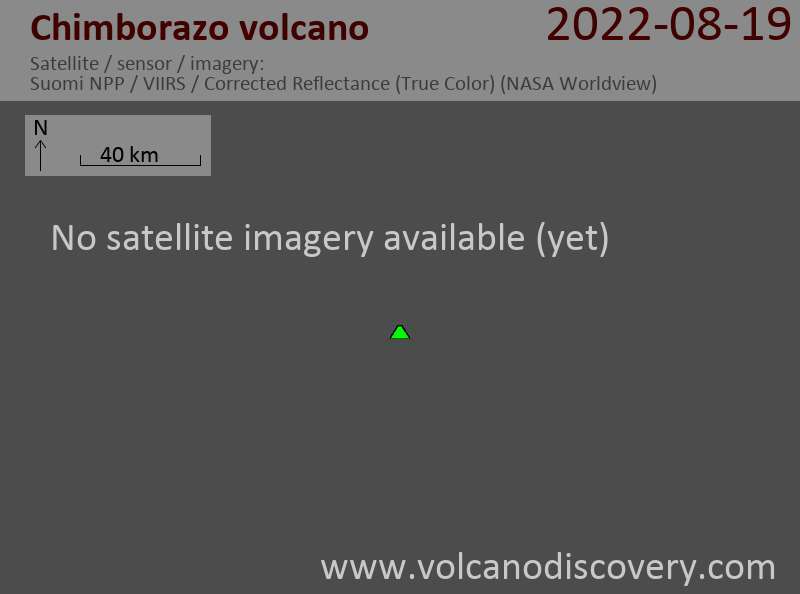 Chimborazo erupted at least 7 times during the past 10,000 years. These eruptions produced pyroclastic surges that reached down to 3800 m elevation. The average time interval between single eruptions is about 1000 years and the last eruption occurred about 1400 years ago, which means that statistically, it is due for another one. Due to its great height and its geologic history of explosive eruptions, and closeness to populated areas in Ambato and Riobamba basins, it should be considered a dangerous volcano.